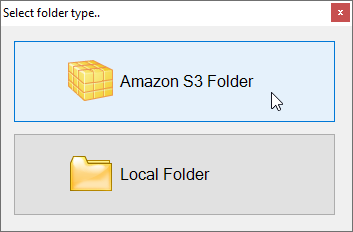 S3 Folder Sync Tool - Synchronize Folders and Files from Local Drive to Amazon S3 and Vise Versa. File and Folder Sync to and from Amazon S3. 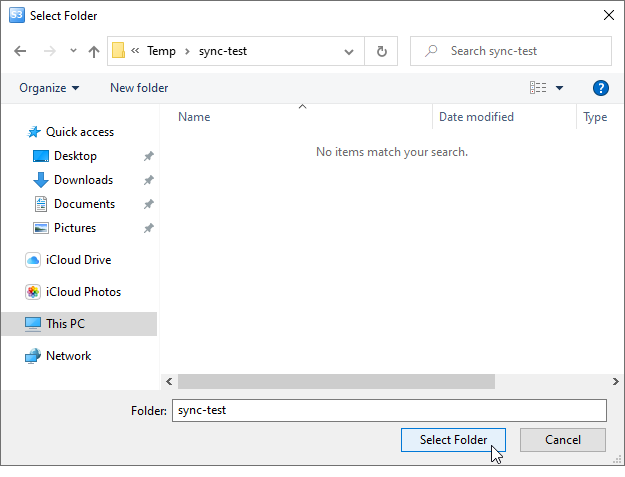 Folder Sync Tool for Windows. 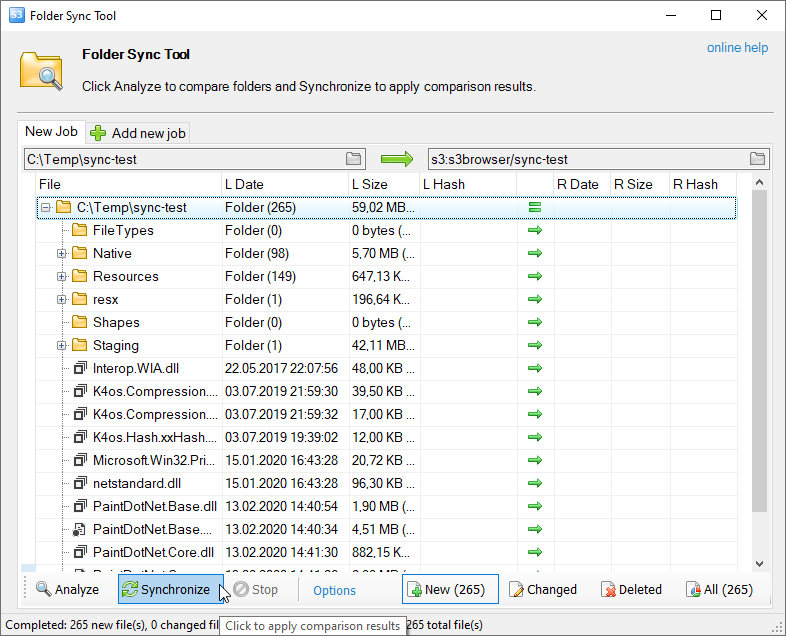 Folder Sync Tool for Amazon S3. Synchronize Files and Folders from Local Drive to Amazon S3 and Vise Versa. Starting from version 5.7.1 S3 Browser comes with a simple Folder Sync Tool allowing you to upload or download only new and changed files and thereby significantly optimize your bandwidth usage and save you time when performing backups to Amazon S3. Currently it works in one-way synchronization mode also known as mirroring, you can define the Source and Destination, which could be the Local Folder or the Bucket/Folder on Amazon S3. The minimal piece of synchronization is the File. If some part of the File was changed in the Source Folder, the entire file will be transferred to Destination Folder. 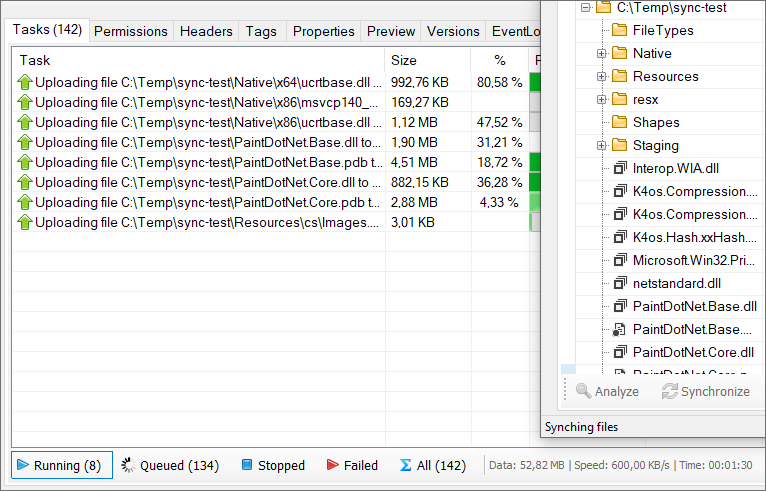 S3 Browser uses file size and modification date to compare the files. An alternate comparison criteria is the file hash which works slower but allows you to detect file changes even if the modification date is incorrect. 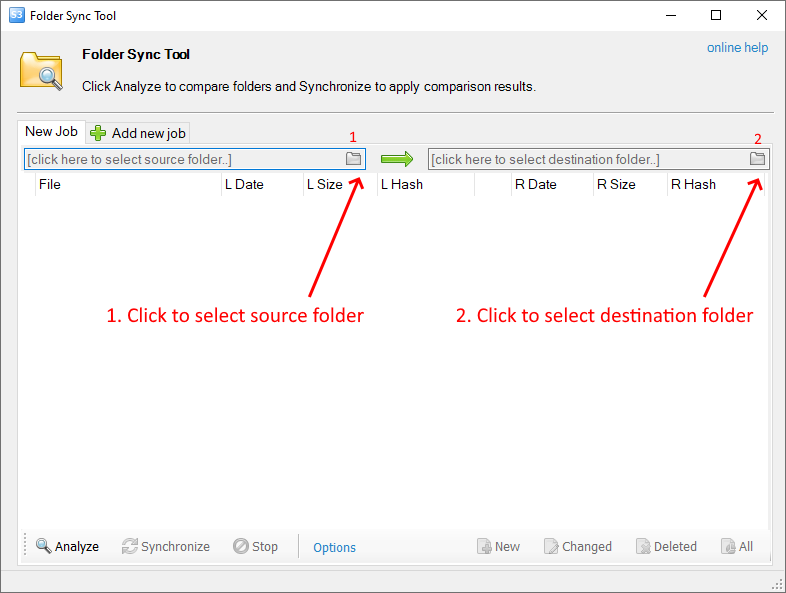 Click Tools, Folder Sync Tool..
2. Select folder type by clicking corresponding button. 3. Once you defined the Source and Destination folders, click Analyze to compare the folders. 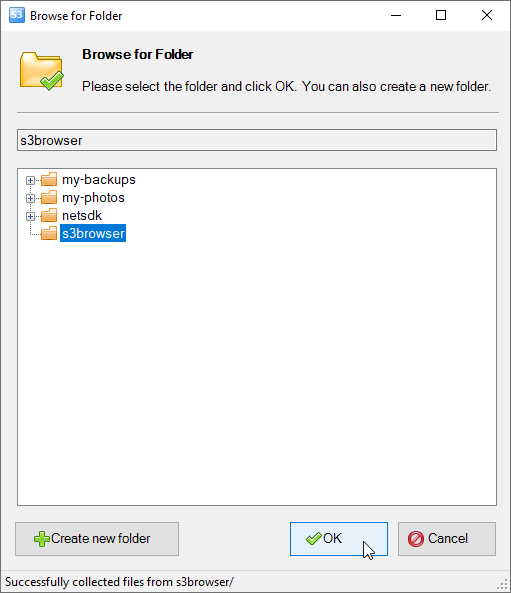 S3 Browser will compare selected folders. When the comparison completed you can check the results and if everything is correct, click Synchronize. 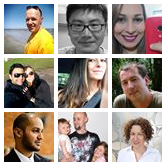 Each Sync Job has a set of options that define sync behavior. To configure Sync Job options click corresponding link located on the toolbar. Include only new files - S3 Browser will sync only new files, changed files will be ignored. Include only changed files - S3 Browser will sync only file changes, new files will be ignored. 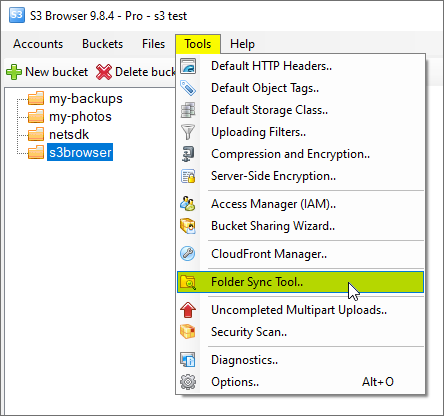 Include both new and changed files - S3 Browser will sync both, new and changed files. 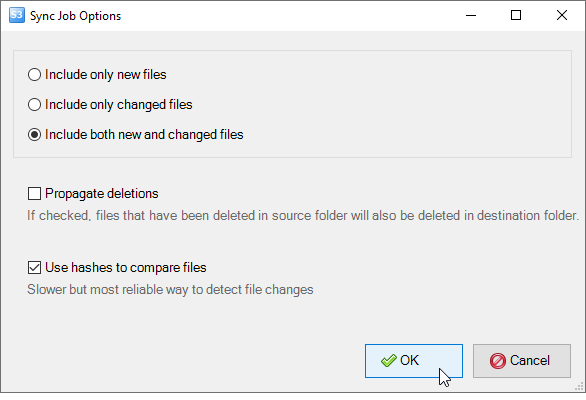 Propagate deletions - If you check this option, files that have been deleted in source folder, will also be deleted in destination folder. Use hashes to compare files - S3 Browser will analyze file content - calculate hash for the local files and compare it with the stored hash of remote files (hashes for remote files are stored in file metadata, remote files are not downloaded to calculate the hashes). This comparison criteria is slower than the Modification Date based approach but is most reliable way to compare the files and detect file modifications. Enter new sync job name and click OK.
Click Yes if you want to delete the job or No otherwise.